Book a break that begins between 1st November 2017 and 30th April 2018 (inclusive) and your four-legged friend can join you for free! * Book before 30th November 2017 using the code DOGS17 to benefit from this fantastic offer from Coast & Country Cottages. Explore our dog-friendly properties now. Why leave your-legged family member behind when you set off on your next break, when you can choose from a stunning range of 112 pet-friendly holiday homes with Coast & Country Cottages? Find the perfect pet-friendly property for your holiday. Perhaps it’s a cosy terraced house like Harbour Heights or R&R (both sleep 4). It could be a substantial detached home such as Estuary House (sleeps 10) or Sundowners (sleeps 8), or perhaps one of our stylish barn conversions or apartments. 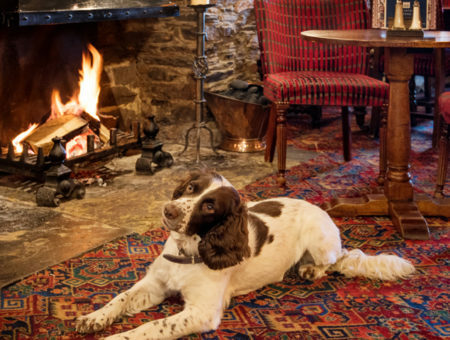 Explore our 112 dog-friendly properties now. It’s a dog’s life in South Devon, with miles of unbroken South West Coast Path and dozens of dog-friendly beaches to explore, not to mention plenty of pubs and restaurants where pets are more than welcome. 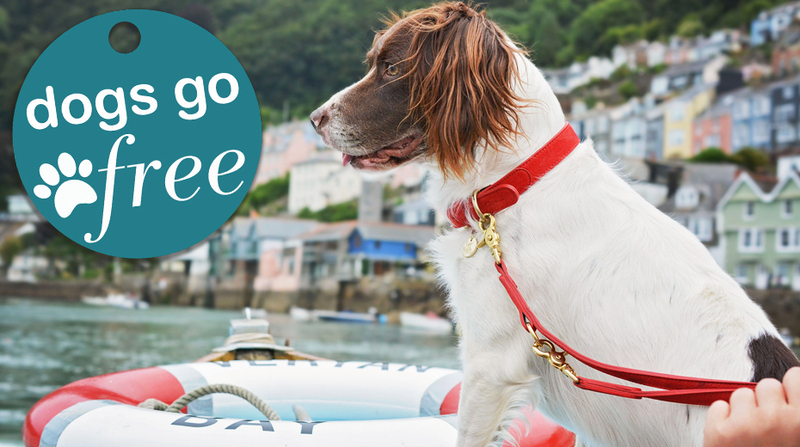 Your canine companion can even travel in style on our two local steam railways, discover two historic castles, join you on a river cruise up the Dart, or come with you as you sail a Salcombe Yawl with local instructor, ‘Scratch’ Hitchen! 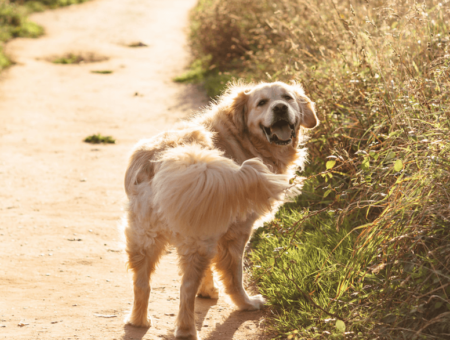 Find out more about South Devon’s dog-friendly beaches, walks, pubs, restaurants, attractions and more in our free guide, ‘South Devon Loves Dogs’. Find out more about why South Devon is the place to go for a pet-friendly break, and don’t forget to use the code DOGS17 when you book! *Terms and conditions: the offer applies to all pet-friendly properties, week long holidays and short breaks, the pet charge of £25 for one dog only per booking is waived. There is no cash alternative and the offer cannot be applied retrospectively. Holiday must be booked and deposit paid before 30th November 2017.